The Sala Sealed-Blok series are the ultimate in durability and design. Rugged and made to last the spring and bearing housing is sealed to a rating of IP67 which means that the unit can be submerged to 1 metre for 30 minutes. With the addition of stainless steel wire ropes and the huge range in lengths these blocks are ideal for off-shore and harsher environments. These blocks are built so that they follow the definition of the law. 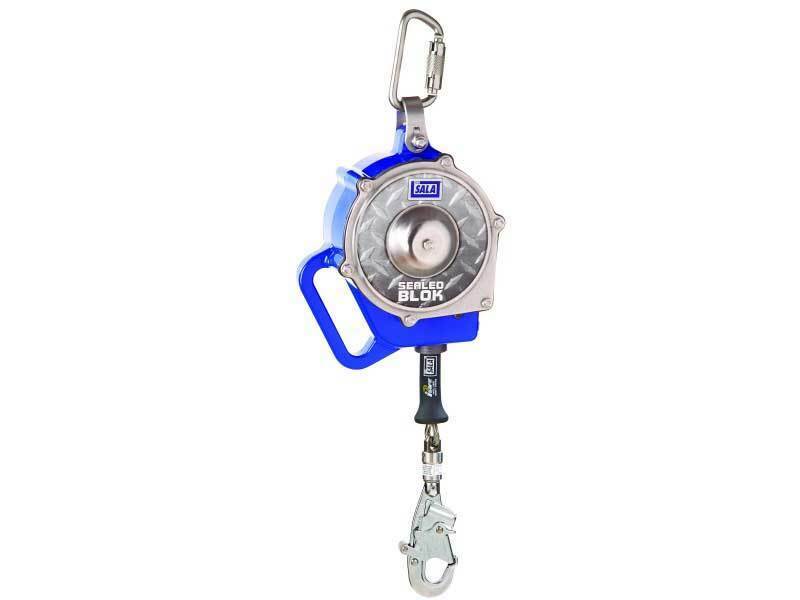 That is that the block should always be used in fall arrest mode as a safety back up to the personnel descending using a ladder or step irons, or as a secondary device. Only should a fall take place should the recovery handle be used, the unit should then be serviced by an authorised service house. You may require brackets to fit these units to tripods or davits and please contact us for assistance.